Modern. Simple. Elegant. These are the words that best describe us. We LOVE offering a unique experience and care to our clients and their families. Photo & Video is much more than having a "nice camera", it is creating art and capturing the wedding day emotions that are so special for the bride & groom! Let our experience, style and personality put you at ease in choosing your Charlotte wedding photographer, or Charlotte wedding videographer. Please contact us to receive our complete package list! Whitney Photo & Video specializes in a photojournalistic style wedding photography. We make sure to take many candid images of your wedding and guests' joyful celebration throughout the day. We also take some time to guide you and your wedding party or special guests into classic and contemporary poses so you can have styled, gorgeous group shots as well. Charlotte wedding photographers Ben & Kisha Whitney from Whitney Photo & Video offer Charlotte brides the very best in Charlotte wedding photography. Are you getting married in Charlotte, NC? Who will be your Charlotte wedding photographer? Who will be your Charlotte wedding videographer? Here is a list of some of the things you should consider when looking for Charlotte wedding photographers and Charlotte wedding videographers. 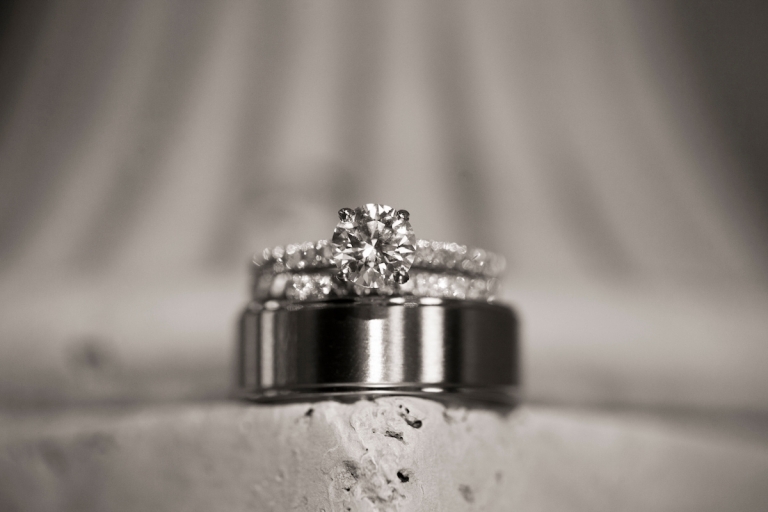 When selecting a Charlotte wedding photographer you are selecting more than just a photographer for your wedding day. You are hiring a wedding photographer that will be with you, your family and your group all day on your wedding day during some of the most important moments of your life. Personality is a huge part of the selection process and should not be overlooked or discounted in any way. Your Charlotte wedding photographers personality can set the tone for your entire wedding day and your bridal party. Ultimately it can impact your wedding photography altogether. We have been blessed to have become friends with so many of our clients because we have personalities that work well together. As a Charlotte wedding photographer we do more than taking pictures, we strive to create a stress-free fun experience so you can enjoy your wedding day. You will more than likely be working with your wedding photographer for a year, or longer in some cases, by the time you factor in your engagement session and post wedding photography and albums. Do you want to make sure you are the right fit? Interview the Charlotte wedding photographers you like. Contact us to set up an appointment. We would love to get to know you better. While price is always a factor when selecting your Charlotte wedding photographer, it should not be the ONLY thing that matters. We’ve heard many horror stories from brides that based their decision purely on price. When it is all said and done, your Charlotte wedding photography will be all you have to remember your wedding day. We strive to provide our Charlotte wedding photography clients’ wedding images to be simple, elegant and modern so future generations can enjoy them. About how many images will be in the wedding album? What cover options are available for my wedding album? Something often overlooked when selecting a Charlotte wedding photographer is the number of hours that will be offered during the coverage of your Charlotte wedding. Typically you will want your wedding photographer to be with you to document all the moments of your wedding day. After all, that’s what you are hiring them for. That being said, typical coverage requirements for your wedding day should be about 8 hours. As a Charlotte wedding photographer, we plan your day with you and help you determine how long certain aspects of your wedding actually take. The coverage needed should start 2-3 hours before your wedding ceremony. Please note that different cultures such as Indian weddings, Vietnamese or Greek weddings usually take longer because of the number and length of the ceremonies. Be careful here, some Charlotte wedding photographers may offer lower prices by offering you less than adequate wedding coverage for your day. These become hidden costs and once you realize it, it’s often too late. How many Charlotte wedding photographers will be at your event? Most events need at least two wedding photographers. This ensures that your wedding photographer is focused on working with your group and directing the day and allows the second wedding photographer to have coverage going on at the same time. We find that by having two Charlotte wedding photographers at your event, your Charlotte wedding photography needs can best be met all while ensuring that nothing gets missed from your big day. Whitney Photo & Video is a Charlotte Wedding Photography and Charlotte Wedding Videography based Studio in Charlotte, NC servicing the Charlotte metro area, North Carolina, South Carolina, Buffalo, New York and destinations worldwide. For more information about this Charlotte Wedding Photographer and Charlotte Wedding Videographer team, please visit WHITNEYPHOTO.COM or call 704-548-9215. Interested in Videography? Check out our VIDEO FAQ’s here.